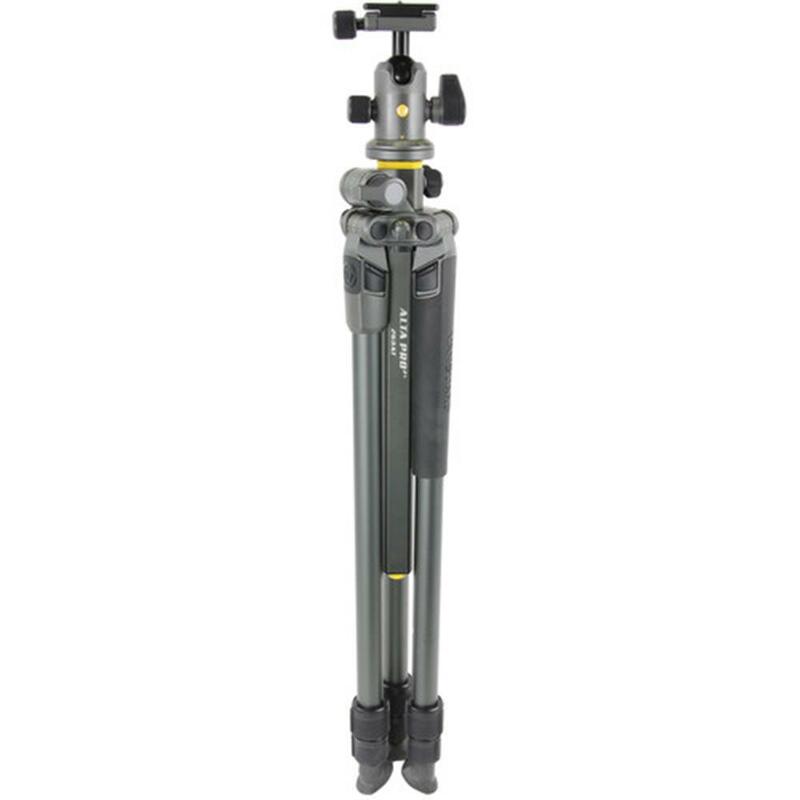 MACC (Multi-Angle Center Column System): with a unique quick action center column, you will enjoy quick, simple and intuitive "twist and lock" positioning at any angle of 15 degrees steps. 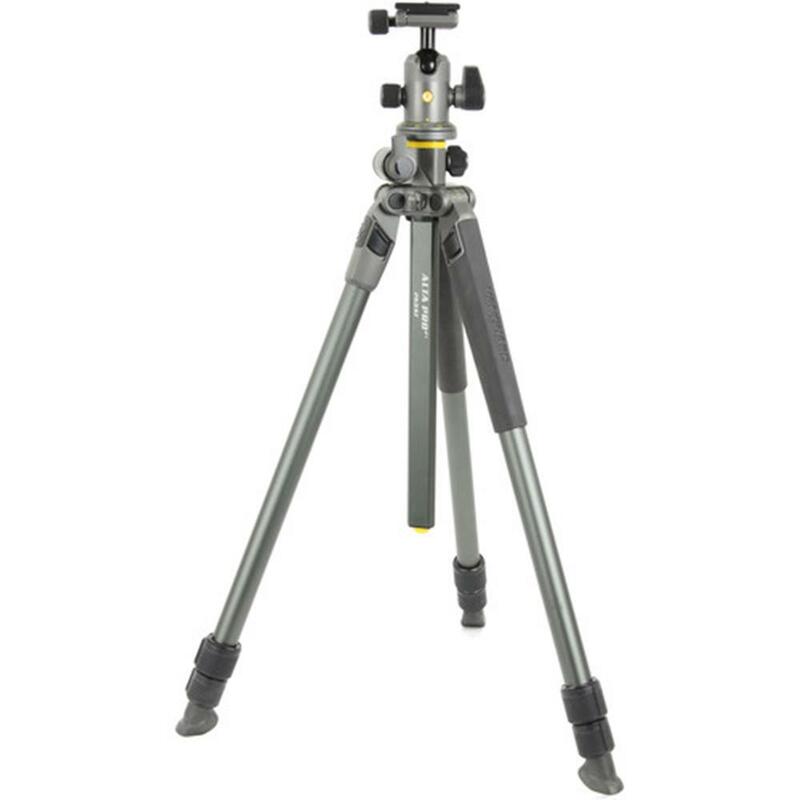 And range rotation of -90 to +90 degrees that supports unlimited creativity, while significantly improving results in any field of photography, landscape to macro! 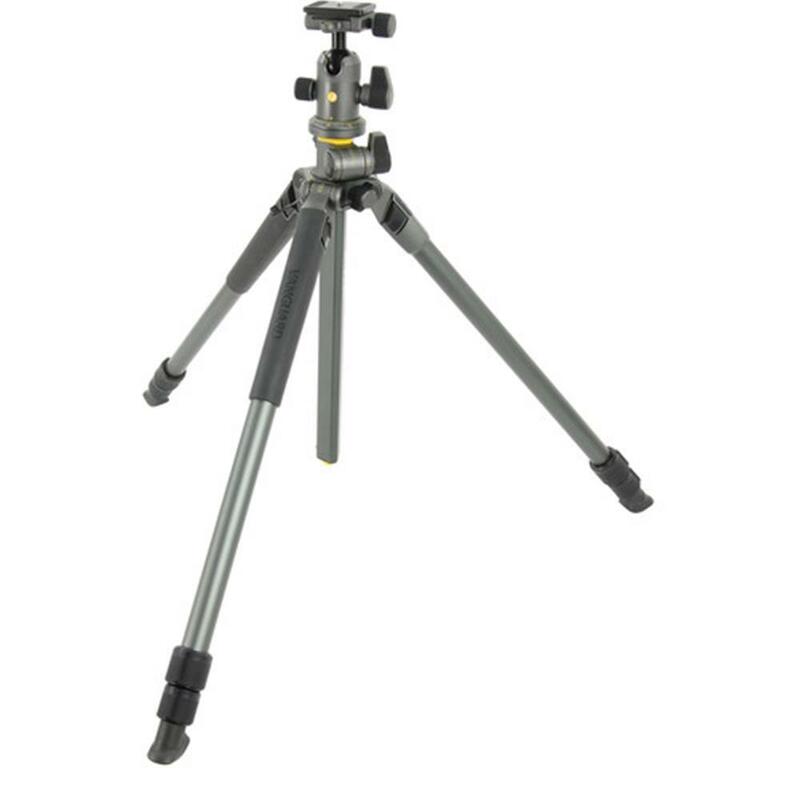 Advanced Twist-Lock: ultra-fast 35 degrees turn to "lock" or "unlock" ensures instant leg extension/contraction. 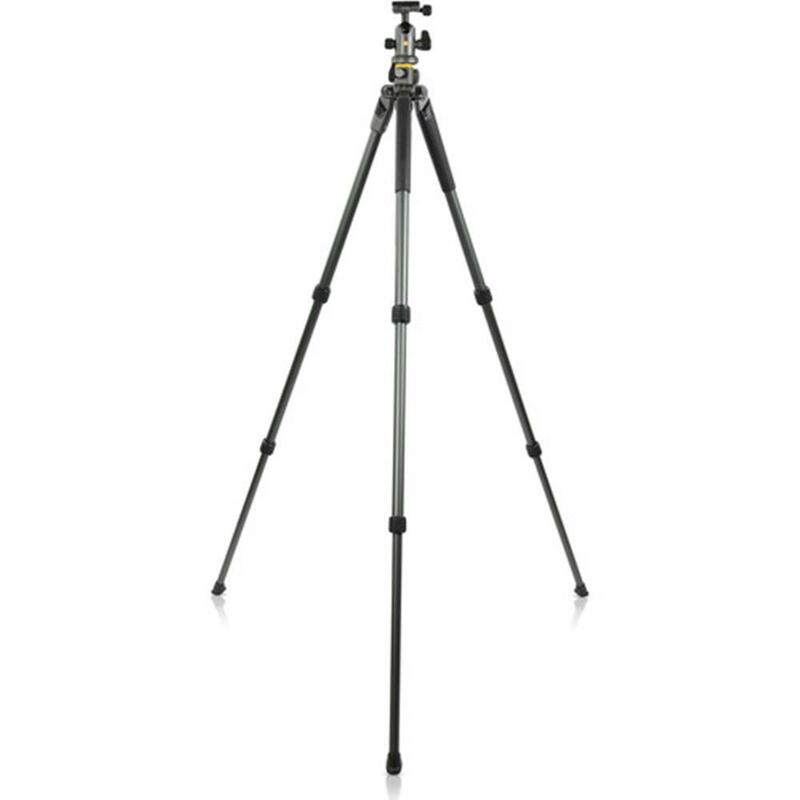 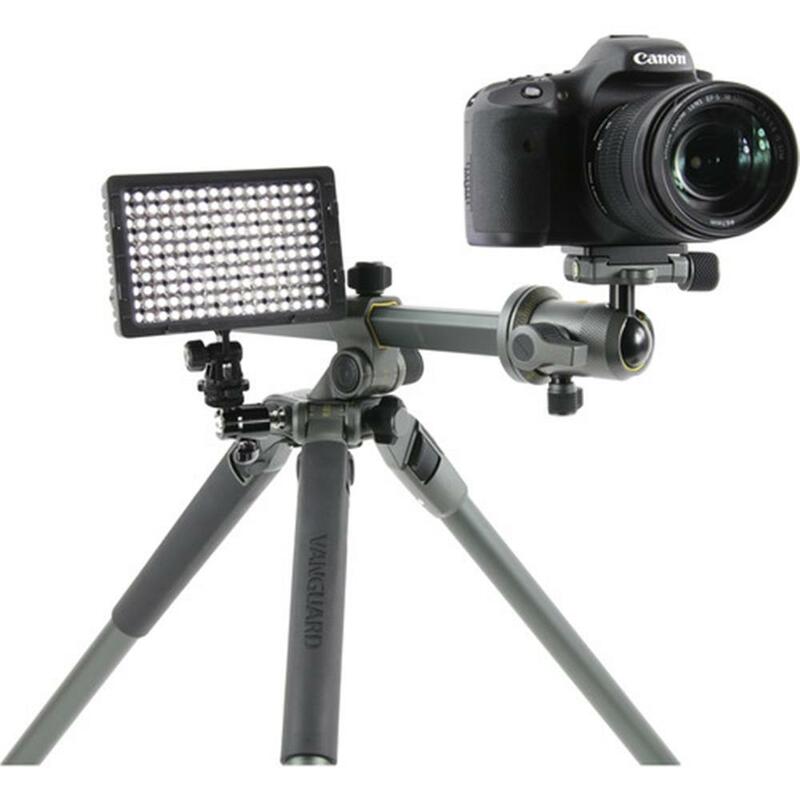 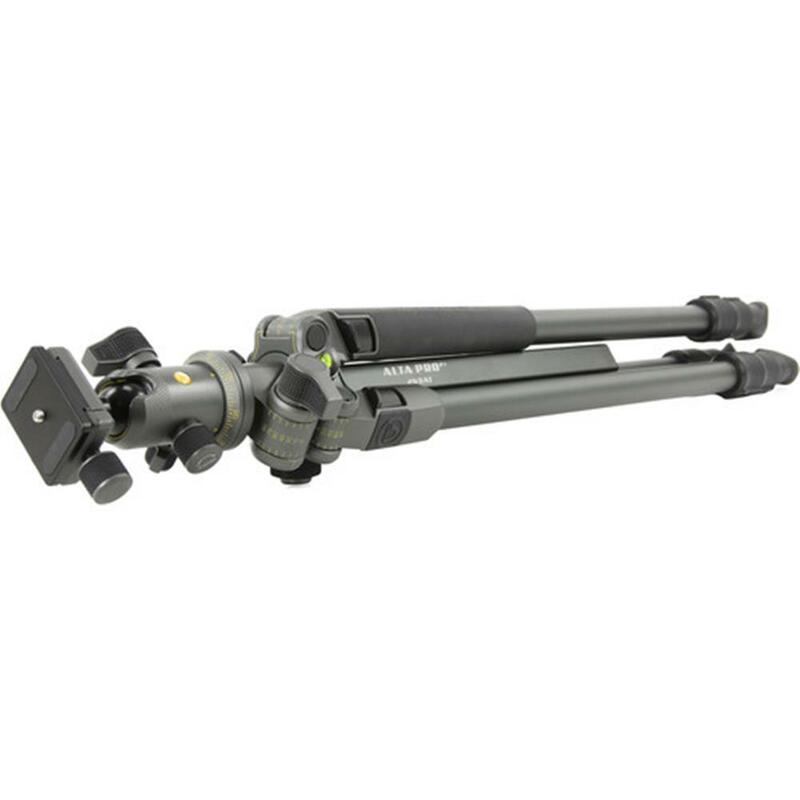 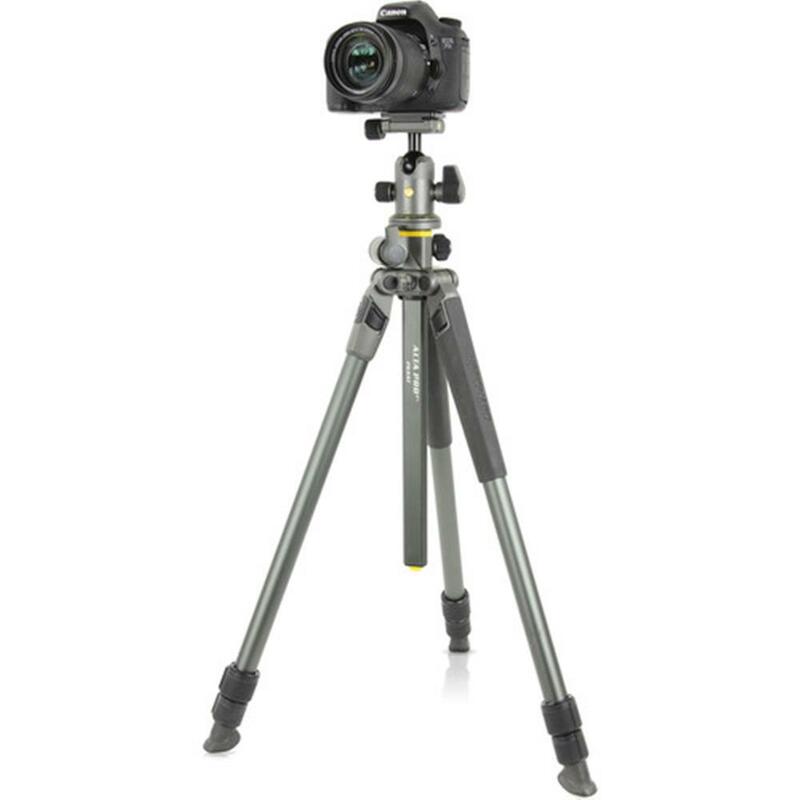 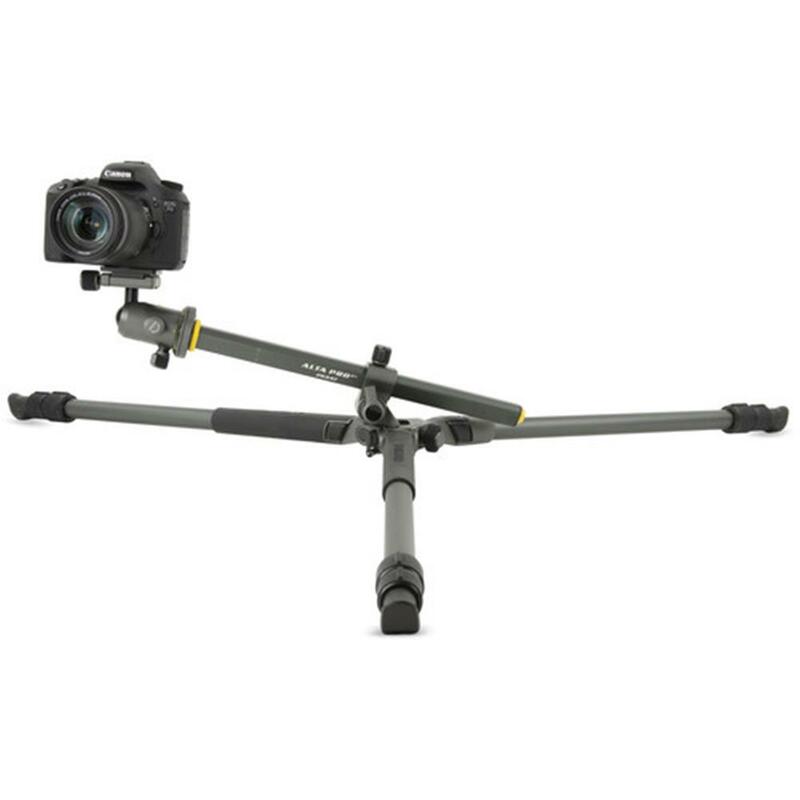 This exceptional new system is engineered to support an unmatched loading capacity in comparison to any tripod other tripod in this segment. 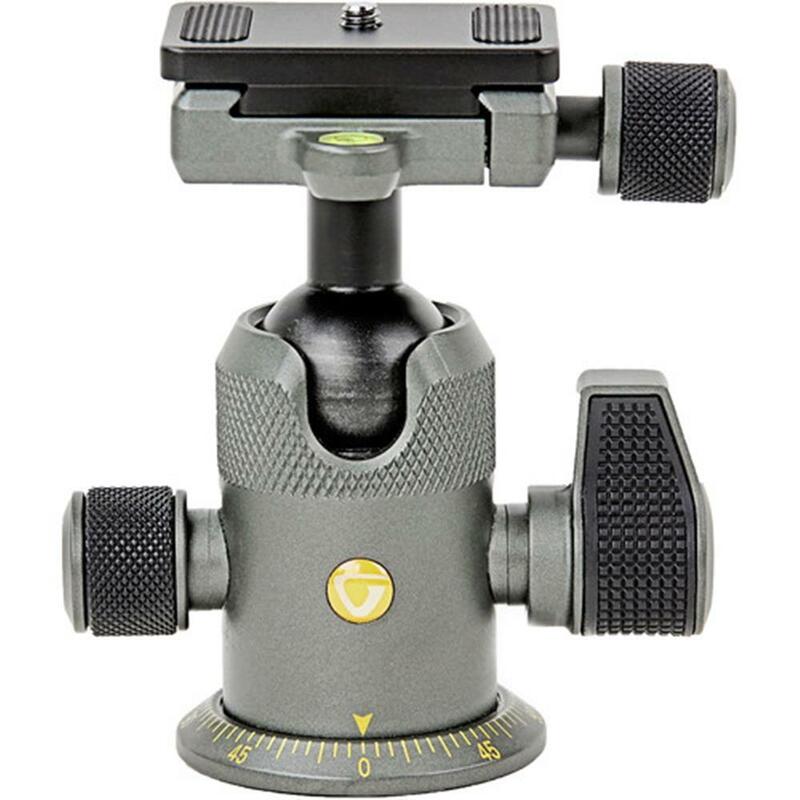 ALTA BH-100 Head is constructed by state of the art materials and production processes, to grantee unwavering secure locking system, so that your gear stays in place in all angle positions. 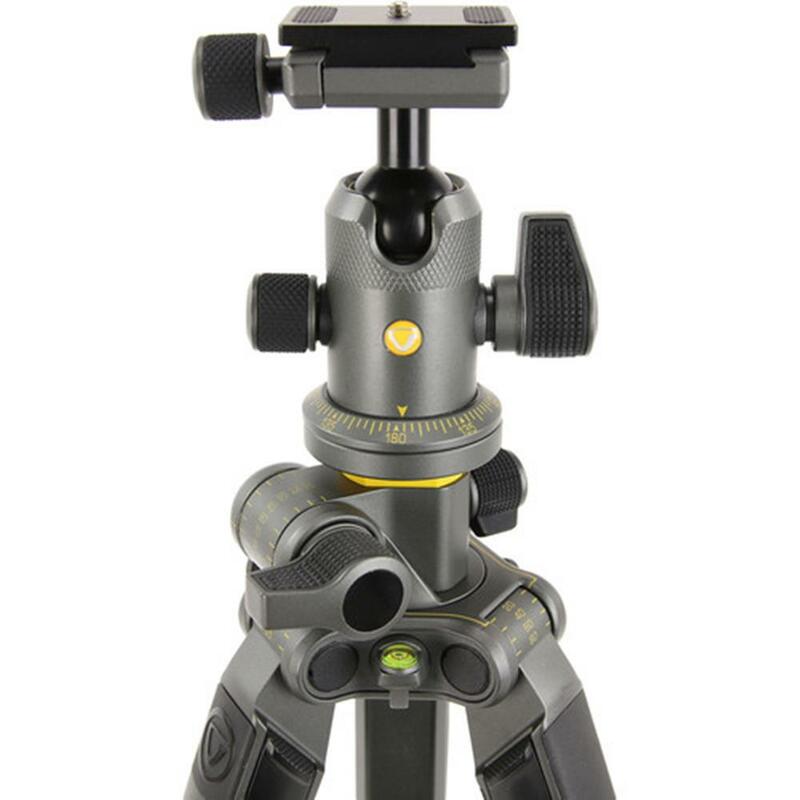 Enhanced performance features include: durable aircraft aluminum housing; easy-to-grip large lever lock; ergonomic friction control, precision lock; independent panning lock; two bubble levels for precise 90 degrees angle in just one second & accurate 360 degrees panoramic photography or videography adjustments; universal Arca-type quick release system, with a built-in safety pin to prevent accidentally releasing your camera; QS-60 V2 quick shoe fitted with 1/4" D-ring screw.